We do have a taste for the finer things in life at Design Restaurants and vintage cars are right up there for us in our wish list of fine things to aspire to own. Saturday saw the annual auction that Classic Car experts, Coys, have been holding at Ascot Race Course and we’d heard whisper that they would be displaying the late Princess Diana’s convertible Audi so we hot-footed it over to bring you a report! 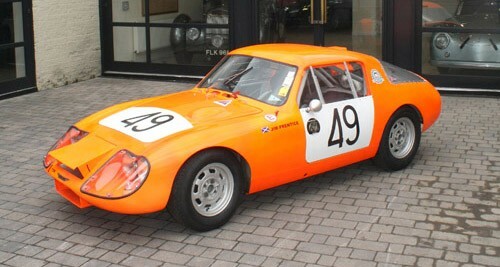 The star of the show was a 1966 Healey Le Mans prototype, which was raced by Paddy Hopkirk and Andrew Hedges at Le Mans 1966. 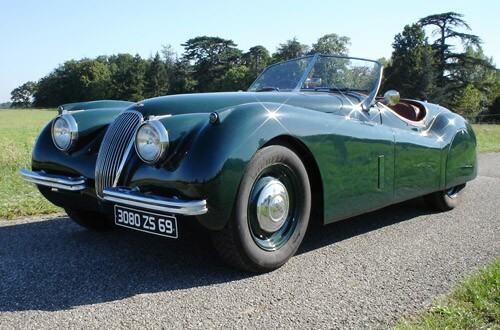 Despite a bid of £170,000 it did no reach its reserve so it will hopefully be available at the next auction event at Blenheim Palace on 29th June. Andrea was keen to experience iconic status so posed for us in Princess Di’s green Audi (not for sale). We hope she doesn’t start acting all ‘Princessy’ on us now… well no more than usual! 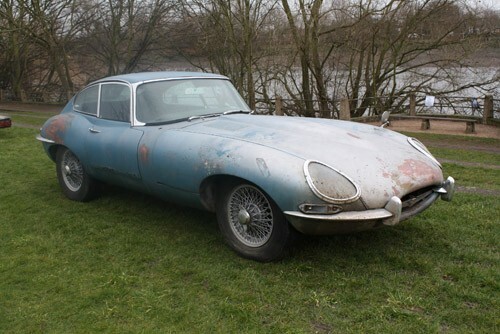 Tessa was keen to see how the 1964 Jaguar E-Type Coupe did as it was in need of some loving care. Sure enough it attained a very respectable £19,000 which assures it will be restored to former glory. 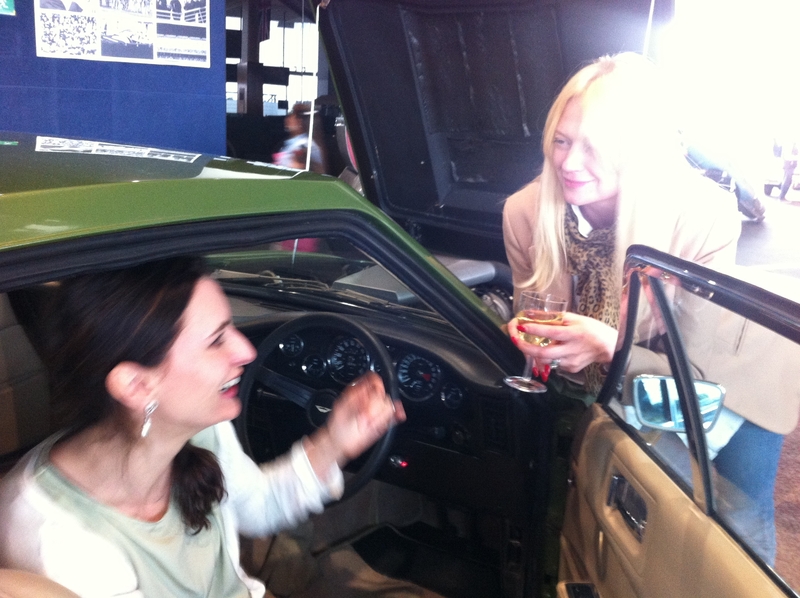 Amber was very taken by a 1977 Aston Martin and we had to practically pry her out of it. She then insisted we call her ‘Solitaire’ for the rest of the day so we think she may have been channelling a 70’s Bond Girl – Jane Seymour?! We had a fabulous day – our huge thanks to Valerie at Coys and her team for looking after us and our members. Any members who attended on the day do please get in touch – it would be lovely to hear what you thought (and what you bought!). Also look our for Coys next lovely event which will be at the beautiful Blenheim Palace on 29th June and we’ll be sending out another fantastic member offer nearer the time. For more information please go to www.designrestaurants.com and for further auction information to www.coys.co.uk.